Are you looking for a career that’s fulfilling and passion-driven? You've come to the right place! A strong nonprofit community takes a motivated, inspired, educated and efficient workforce. 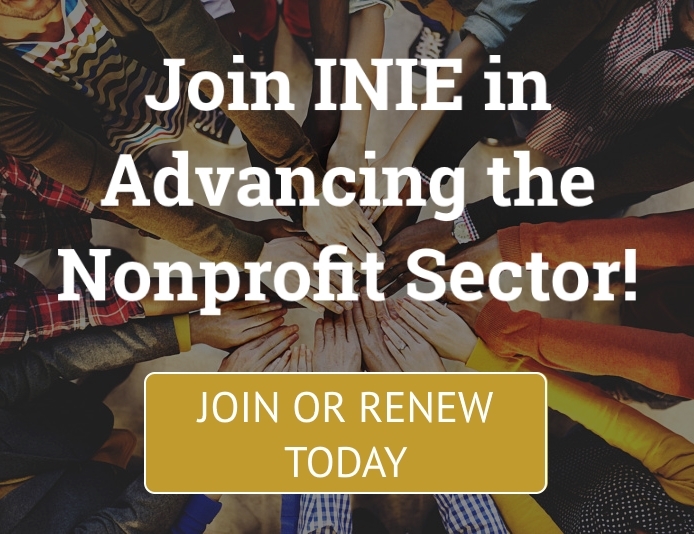 The Institute for Nonprofit Innovation and Excellence strives to match passionate individuals with the right organization through our job bank. Please read the job descriptions posted below and check back frequently as this page is updated often. Five Wishes, a program of the national nonprofit Aging with Dignity (AWD), is seeking an enthusiastic and mission-driven Public Relations Assistant who will thrive in a challenging and dynamic work environment. This position will play a key role in building and conveying the value of Five Wishes to the media, opinion leaders and influencers; creating and maintain media lists; identifying and cultivating partner stories, and developing communications for our programs and resources. AWD’s mission is to honor and safeguard the human dignity of the most vulnerable. Toward that end, it is a national leader in helping individuals plan for how they would like to be treated in case of serious illness through the sale and distribution of Five Wishes advance directive and supporting resources. AWD has distributed more than 30 million copies of the document to individuals, families, health care organizations, financial institutions, faith-based organizations and many more. This position has a base hourly rate of $10/hour (can start higher based on level of experience), and opportunities for growth based on performance. Send a resume and a detailed cover letter (as attachments) explaining why your skills, interests, and experience make this opportunity the right fit to [email protected] by 4/26/19. For more information, please visit Aging With Dignity. For more information, please visit Legal Services of North Florida. Position Summary: The Executive Director of Girls on the Run of the Big Bend (GOTRBB) is a highly-skilled nonprofit professional that provides leadership, vision and direction to the council and the broader Girls on the Run organization. The Executive Director represents our five-year old council to the public, leads organizational development and strategic planning, optimizes financial performance, oversees program delivery in the designated four-county territory, builds donor relationships, and oversees personnel and volunteers. The Executive Director develops sound practices and supportive relationships, both internally and externally, resulting in cooperative and effective collaborations that further the mission of Girls on the Run International. Start Date: The anticipated start date for this position is June 3, 2019. Application: Please visit https://www.girlsontherun.org/Who-We-Are/Work-With-Us The application deadline is April 19th, 2019. For more information, please visit Girls On The Run Big Bend. Send resume to PO Box 7643, Tallahassee FL 32314 or fax to 850 656-7127 or email to [email protected]. This position will remain open until filled. For more information, please visit Brehon Family Services. Work with Director of Philanthropy on goals, plans and implementation of major gift efforts and communications with donors. Work with Director of Community Relations to ensure all social media, website and written materials have Development information included. Maintain all brochures, flyers and public information from the Development Department. Lead Development efforts to reach a younger demographic with the goal of increasing those donors and the overall impact on Second Harvest. Be proficient in Donor Perfect and assist Donor Relations Coordinator during high revenue impact times. All GIK and monetary donations into Donor Data Base in a timely manner. Help prepare thank you letters for food, services, GIK and monetary donors when needed. Prepare thank you letters for event and food drive sponsors. Lead staff person for ASHBB’s annual fundraising event, including working with volunteer committee and coordinating all aspects of event. Also assists with the management of other fundraising events, as needed. Other duties as required of the Director of Philanthropy. 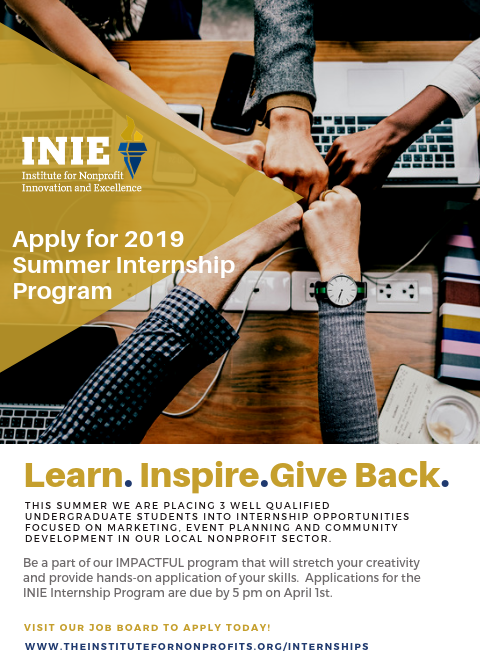 Associates or Bachelor’s degree plus a minimum of 2 years work experience in Development and/or Member & Event programs for a non-profit organization. Computer proficiency in Microsoft Excel, Word, PowerPoint and Outlook. The ability to both learn and manage various software programs including databases and giving platforms. Ability to organize and prioritize work and tasks. Attention to detail, accuracy, and timeliness. Ability to communicate verbally and in writing in a clear and professional manner with donors, volunteers, staff and other community members. Must be self-motivated and work well with people in a team environment. Interested candidates may apply with your cover letter and resume by emailing [email protected]. This job opening post will remain open until the position is filled. For a complete description and instruction to apply, visit America's Second Harvest of the Big Bend. Assist in inventory control, pulling orders and warehouse maintenance. Assist with weighing of product, loading and unloading at warehouses. Establish rapport with representatives of food donors and vendors. Adhere to food safety guidelines and standards and advise management of any violations. Adhere to safety guidelines and standards and advise management of any violations. Continuously check products for expiration dates, any signs of contamination, or other signs of unsafe distribution. Maintenance of correct and updated records of receipts and distribution of product reported to the Warehouse Coordinator and Inventory Management Coordinator. Maintenance of first-in/first-out system, ensuring product safety. Active participation in training and educational opportunities pertaining to interest, duties and responsibilities. Assist with inventory control, quality control, and other duties ascribed by the Warehouse and Transportation Coordinators. Perform sanitation duties as assigned. Compliance with policies and procedures established by OSHA, U.S. Department of Agriculture, Florida Department of Agriculture & Consumer Services, and Second Harvest of the Big Bend. Obtain, review, implement, and sign off on those responsibilities pertaining to warehouse practices as outlined by Second Harvest of the Big Bend and any manuals deemed pertinent by supervisor. Advise management of the need for repairs of equipment. Operate equipment under all legal driving rules and maintain safe driving. Emphasize Second Harvest’s mission and values consistently. Communicate suggestions, ideas, improvements and other constructive feedback to management. Interested candidates may apply with your cover letter and resume by emailing [email protected]. This job opening post will remain open until the position is filled. 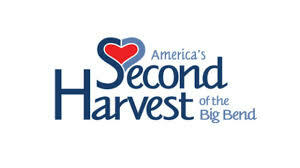 For more information please visit America's Second Harvest of the Big Bend. The Distribution Coordinator will work closely with the Director of Operations and the Director of Programs and Agency Relations to 1) Coordinate, enhance and staff direct distributions such as the Mobile pantry program, and 2) Assist in facilitating all food distributions. The person in this position will research areas of need in densely populated counties, facilitate a distribution date and location, then promote the date and time of the distribution. This person will be responsible for enrolling clients based on qualifying income levels, tracking distribution data and providing oversight to volunteers during distribution. Additionally the successful candidate will take a leading role in ensuring all food bank food product is distributed in a timely manner. Must be able to work some evenings and weekends. Must be personable with diverse populations. Work to facilitate collaboration between all members of the Operations and Agency Relations departments to achieve desired goals. Vigorously uphold the food bank’s food safety standards. Identify and develop Mobile Pantry sites within the prescribed goals set forth by ASHBB. Work with inventory and warehouse staff to ensure efficient distribution of all product. Identify prospective agencies and sites for direct and pantry distribution. Create and efficient schedule for mobile distributions. Assist in developing orders for Mobile Pantry Program. Fill in driving position as needed on other distribution routes. Be able to work flexible hours Tuesdays through Saturdays. Food safety experience is strongly preferred. Experience in a non-profit setting is preferred. Represent the organization at all times in a professional, pleasant, and courteous manner. Maintain positive public relations and exceptional customer service. Excellent project management skills; ability to organize and prioritize work and tasks. Attention to detail, accuracy, and timelines. Ability to communicate verbally and in writing in a clear, professional, and timely manner. Ability to travel within Big Bend service area. Computer proficiency in Microsoft Excel, Word, PowerPoint, and Outlook. The ability to both learn and use various management information systems. Must possess a valid Florida Driver’s License and clean driving record. Must possess a CDL license or be able to acquire one within a reasonable period of time. The position pays $14.00-15.50 an hour and generous benefits package inclusive of paid Health, Dental and Life Insurance for the employee. Employees may elect to participate in the Simple IRA retirement program, ASHBB will match up to 3% of your salary. ASHBB recognizes eleven paid holidays each year, and employees may earn sick leave and vacation time. Children have so much to offer to the world - we believe in the power that they hold, and know that they will mold future generations to come. At Major College & Career Prep, we are here to give them the support they need in order to shape them into future leaders. We have many educational programs and leadership initiatives that help nurture our youth and help them develop the skills they will carry throughout their lives. 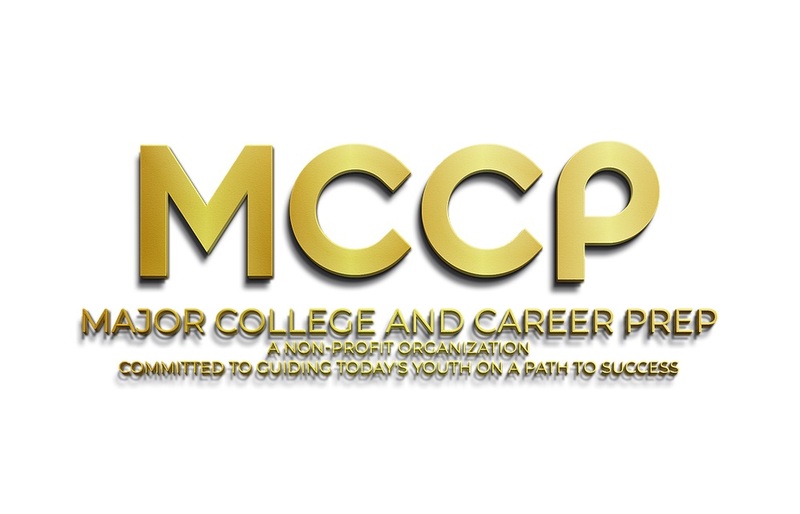 If you are passionate about education, financial literacy and empowering our youth, please consider joining Major College & Career Prep team! If you are passionate about entrepreneurship, work-readiness and financial literacy education, please consider becoming a JA volunteer! Junior Achievement Big Bend is looking for four (4) community volunteers to teach our “JA Our Nation” program to 4th graders at DeSoto Trail Elementary School for April to May time frame. Junior Achievement (JA) is the nation’s oldest and largest organization dedicated to giving young people the knowledge and skills they need to own their economic success, plan for their future, and make smart academic and economic choices. Junior Achievement’s programs—work readiness, entrepreneurship and financial literacy— are delivered by volunteers from the business community. JA Big Bend provides the materials, scheduling and training necessary to deliver world-class financial literacy programs and provide relevant, hands-on experiences for over 2,500 students annually in our local area. The Education Director is a key member of the staff involved in all aspects of developing and implementing the institution's educational and programming initiatives. A proven ability to create timelines, meet deadlines, conceptualize/oversee innovative public programs are essential components of the role. This position includes exhibition interpretation, curriculum development and audience outreach. 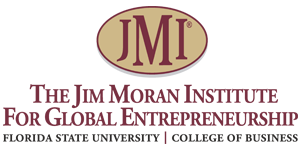 This detail-oriented individual must work cooperatively and creatively, ensuring that the overall institutional goals are maintained, programs are effectively conceived and executed. The Education Director works closely with the Executive Director to promote the unique resources of the institution, including outreach and audience development. For a complete description and to apply, visit Lemoyne online. 2-1-1 Big Bend operates several hotline programs including the Helpline 2-1-1, the Florida HIV/AIDS Hotline and the Family Health Line. 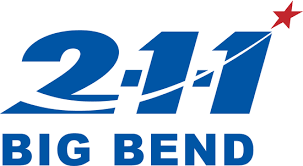 In addition, the agency answers calls for the National Suicide Prevention Lifeline and other organizations that contract with 2-1-1 Big Bend for hotline services. Help Me Grow (HMG) is a program that links families with local resources to address parents’ concerns about the health, development, behavior and learning of their young children. Duties include assisting with resource database services including researching community services related to the needs of the HMG clients, surveying service providers, updating and maintaining the agency’s resource database. Assisting with program outreach activities is also required. Work hours will be primarily M-F. Two years of post-secondary education or successful completion of one of the agency’s hotline training programs required. Knowledge and Skills preferred include information coordination, use of computers and database software, editing of written materials, knowledge of human services terminology, and knowledge of child development. For a complete description and instruction to apply, visit 2-1-1 Big Bend online. The primary responsibility of the MYFLVET Care Coordinator (CC) is to apply the tools developed in his/her own recovery/experiences as well as the philosophy and values of the Florida Peer Network in order to build mutuality with veterans assigned to care coordination. The CC will collaborate, coach, and challenge individuals to view presenting crisis as an opportunity for growth and change. They will act as a support to an individual’s recovery process. The CC will provide comprehensive system navigation and support through intake, screening, assessment, referral and linkages to Federal VA services and other behavioral health services available to the veteran; via telephone, email, IM/Chat, text messaging and in-person for clients with behavioral health concerns or identified suicidal ideation or low to moderate lethality. The CC also provides support and training for staff and community agencies to increase understanding of veteran needs. For additional information and to apply, visit 2-1-1 Big Bend online. Automotive Detailer: Goodwill Industries - Big Bend, Inc.
Donation Attendant: Goodwill Industries - Big Bend, Inc.